Doug, It is actually pretty close. 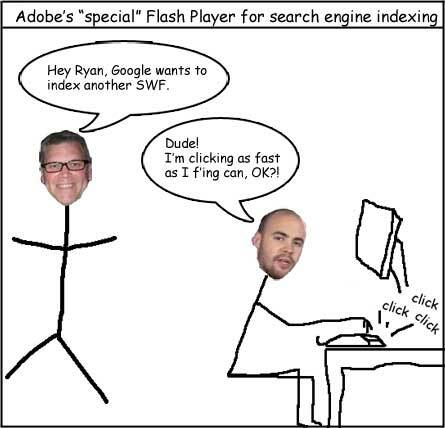 Ryan is playing the headless Flash Player and I would be the google or yahoo spider bossing him around. Wait, what happens when Ryan has a hang over?! ?